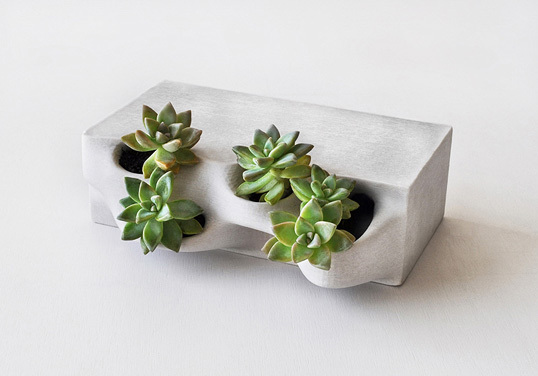 Beyond its “cool” factor, 3-D printing is not only a convenient way to create objects like simple toys or beautiful furniture on the spot, but also one with great environmental implications. By using 3-D printers to circumvent mass production and manufacture products on demand, the technology greatly reduces material and energy waste. It can also keep plastic out of landfills by reusing plastic waste turned into filament. However, as long as the technology primarily uses plastic, there is still tremendous room for improvement in terms of its eco-friendly virtues. Enter Emerging Objects, a San Francisco-based innovative manufacturer in the field of 3-D printing, and one that takes upon itself to develop unique materials for this technology. Emerging Objects, founded by Ronald Rael and Virginia San Fratello, is particularly interested in creating materials and designs for large 3-D printed structures used in buildings – and taking a more “green” approach to this (still) new technology. The idea is to replace plastic with materials that are sustainable and recyclable, while improving on the strength and qualities of conventional ones. So far, their portfolio is both impressive and fascinating. 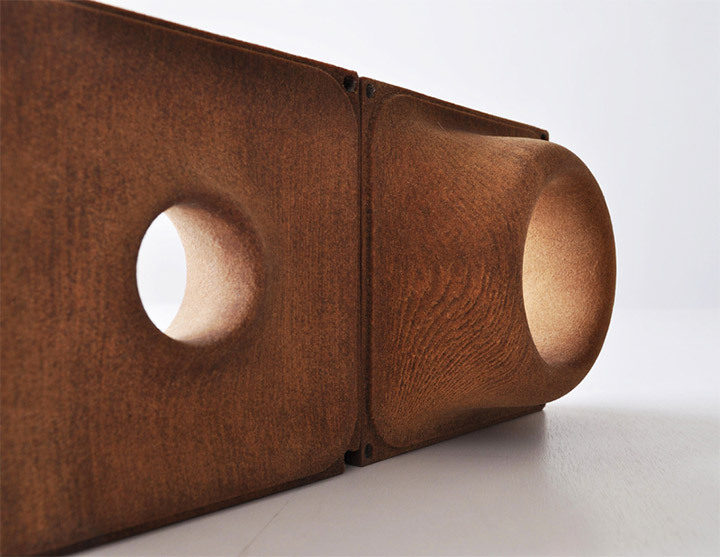 Using materials such as salt, sand, wood and clay, they created ingenious, functional and visually stunning objects. 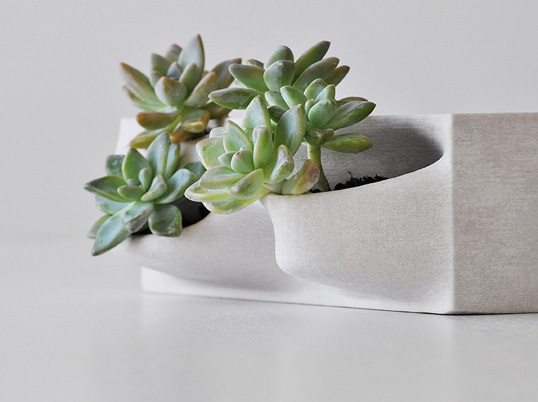 Here is, for example, their 3-D printed concrete planter brick. Perfect for building attractive planter walls, they also function as noise buffers and help in regulating the building microclimate. The bricks can be used in conjunction with conventional bricks in old or new walls. 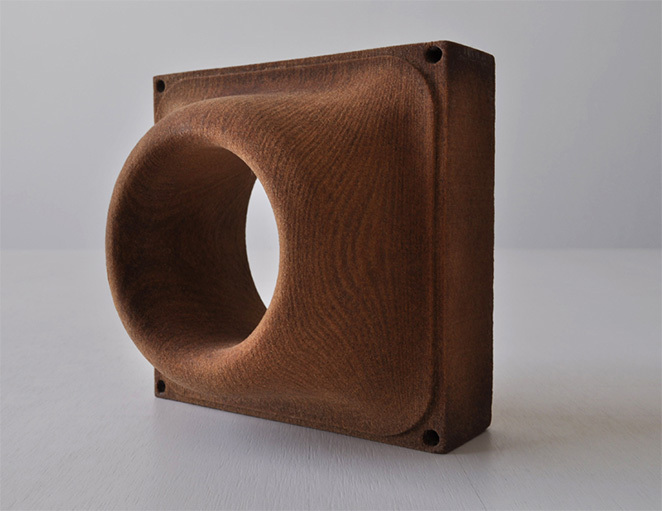 Made of recycle agricultural waste, this 3-D printed wood block has a surface that mimics the look of real wood grain. Customized wood blocks can be used in masonry projects or in creating unique interior design elements. 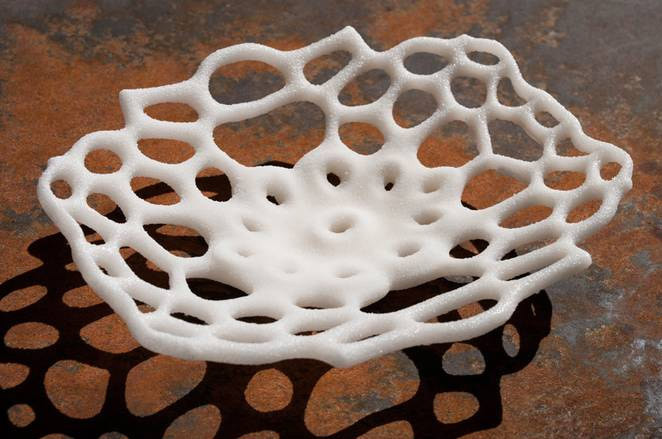 Made of salt, this Haeckel Bowl is translucent and can be processed for added durability. With the massive discarding of tires that takes place in the modern world, recycling this otherwise easily accessible material using 3-D printing is a way to reduce its ecological impact. 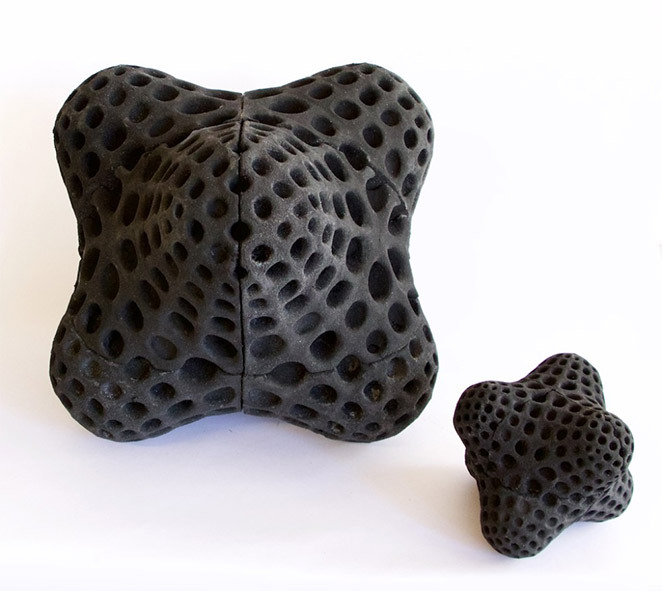 This Rubber Pouff is 3-D printed using a powder obtained from recycled rubber tires. 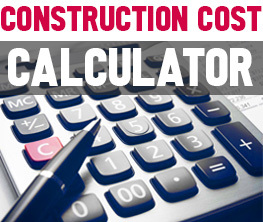 However, the possible applications of such a material are many – from outdoor furniture to noise-absorbing wall panels. Wool, Hemp and Recyclable Materials – Carpet Options for Green Interior... Can Your Business Be Environmentally Friendly?